Hello everyone! I am back in the US! I had a 2-month long vacation in the Philippines, particularly in Manila, which explains why I haven’t posted much on this blog for awhile. I wanted to take some break from blogging and get the chance to truly enjoy my family’s company. I had such a lovely time and it felt like time was so short despite being there for several weeks. Indeed, time always flies when you’re having fun! Well, it wasn’t all pleasure for this trip. In fact, the reason why I stayed that long was so I could attend the Mandatory Continuing Legal Education seminar. The MCLE is a requirement I needed to fulfill so I can maintain a good standing in the Philippine bar. In case you didn’t know yet, I am a lawyer by profession. I didn’t want to lose my license to practice law in the Philippines as I worked so hard to achieve it so if that meant attending the MCLE, then let it be. Preheat oven to 400F/200C. 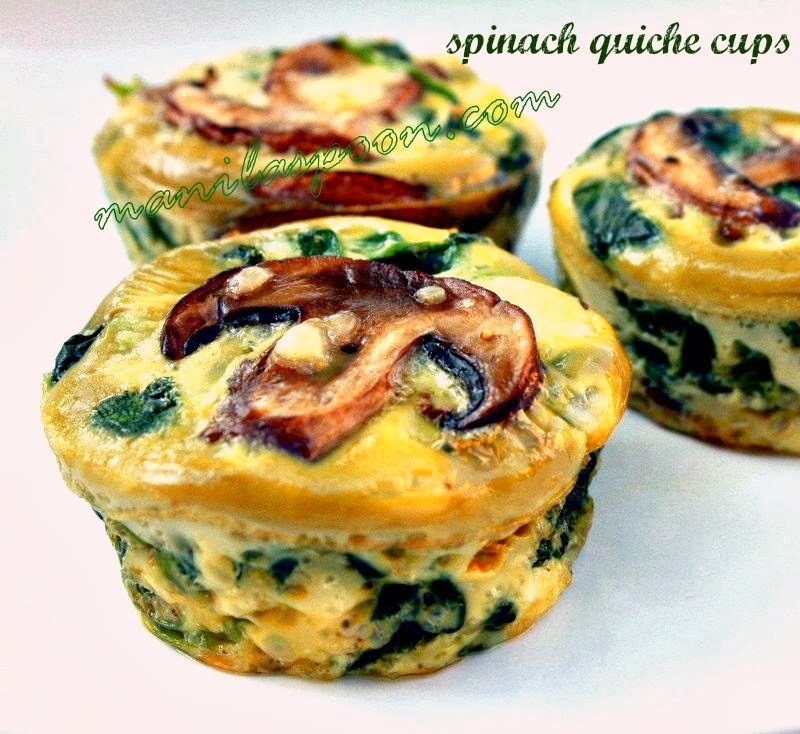 Line your 12-cup muffin pan with paper cups. In a large mixing bowl, combine the flour, sugar, baking powder and salt. Set aside. Beat the eggs lightly and then stir in the sour cream, oil and vanilla extract. Pour the wet ingredients into the flour mixture. Mix everything just until combined. Fold in the mango cubes. Spoon the batter into the prepared muffin pan. Divide evenly among the 12 cups. 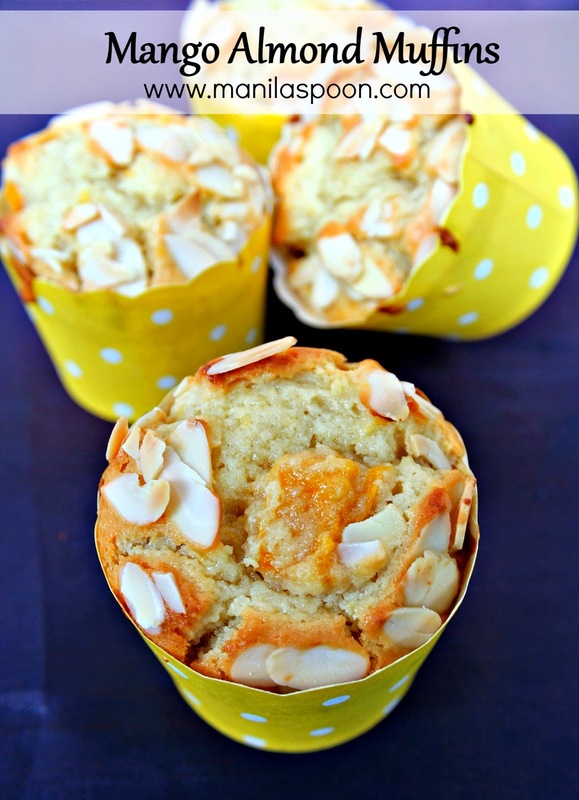 Sprinkle with the sliced almonds on top. Bake for about 18-22 minutes or until a tester comes out clean. Transfer to a wire rack and let cool in the pan for about 5 minutes. Remove from the muffin pan and cool completely. Enjoy! If you wish to print the recipe, there’s a print-friendly icon above the post. Click on the image box to remove the photos for easy and convenient printing. Thanks, Adeline! Hope you enjoy it! Awww, it is so nice to read your comment, Selma. I don't practice at the moment though I keep my license active just in case. I have small kids so I have decided to be a stay-at-home-mom for now. Anyway, I do some food blogging on the side as a hobby as well. Anyway, am sure, even if you didn't decide to pursue law – just the training would have been helpful in any other field. That's what I found at least in my case. Thanks for stopping by. These look sooo inviting! I just discovered your blog and I love it, I've already pinned some recipes that I'm gonna have to try out really soon. I love Asian food! I am so delighted you discovered our blog. I hope you do enjoy our recipes here. Thanks for stopping by Michela. 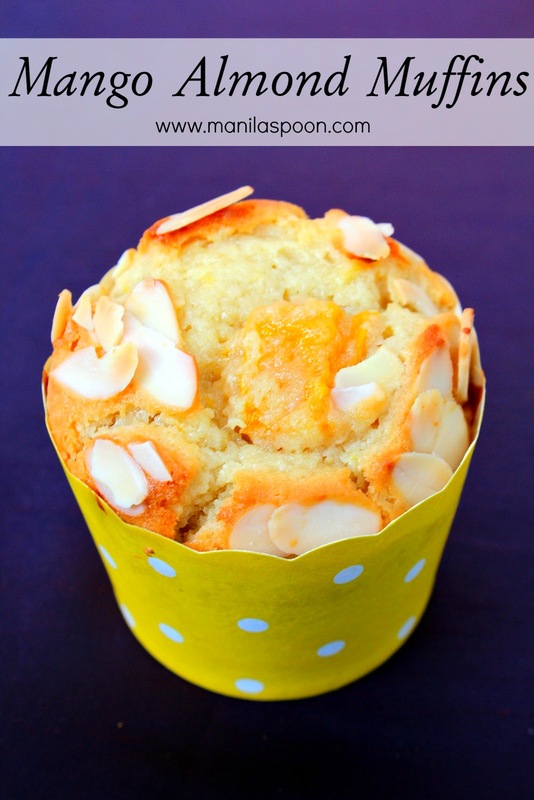 Hi Abby, another delightful muffin recipe! It's mango season here in Australia, I have to try these. 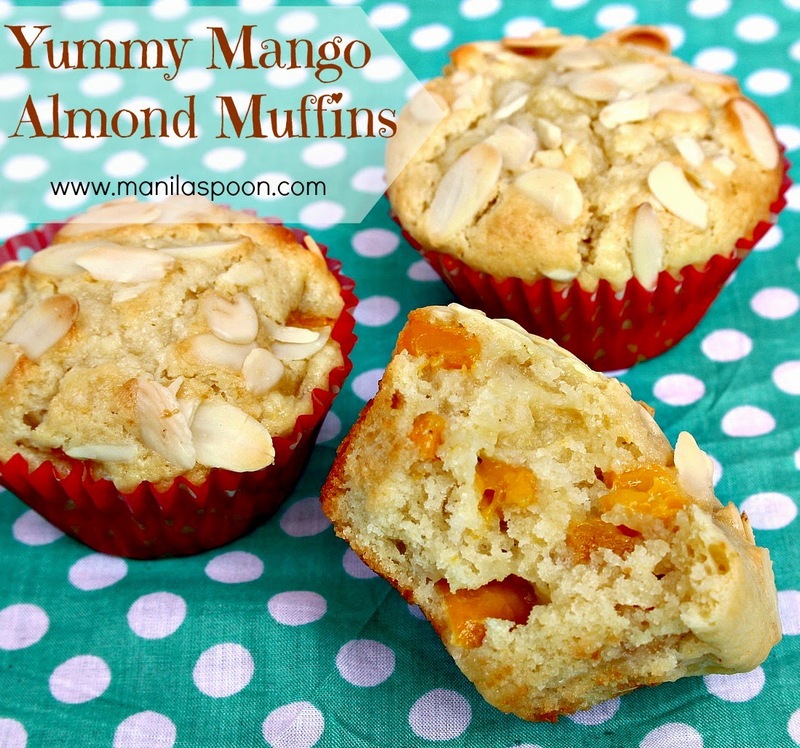 It is a great idea to top them with almonds, Yum Yum! Hi Georgina! I love Australian mangoes! I remember how yummy they were when we had them way back in 2003 when we went there for our honeymoon. I do hope you enjoy the recipe! Thanks for stopping by!